As a teacher, receiving gifts from students and families is always an unexpected blessing. When this happens, I always want to set a good example for my students by letting them know how grateful I am for their generosity. 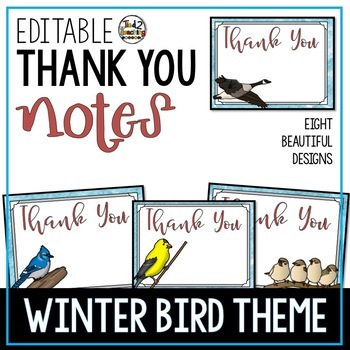 These Fully Editable Bird Themed Thank You Notes are great to have on hand. 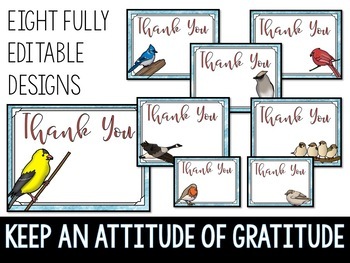 They are an easy way to say "thank you" for the little blessings that come your way throughout the year!